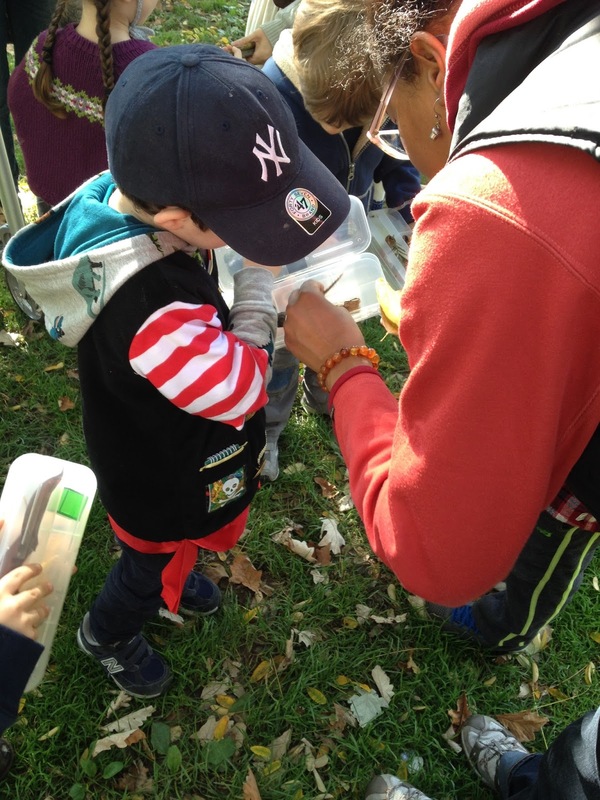 On a beautiful Saturday last month, 16 families participated in the inaugural Nature Scavenger Hunt in Washington Square Park. 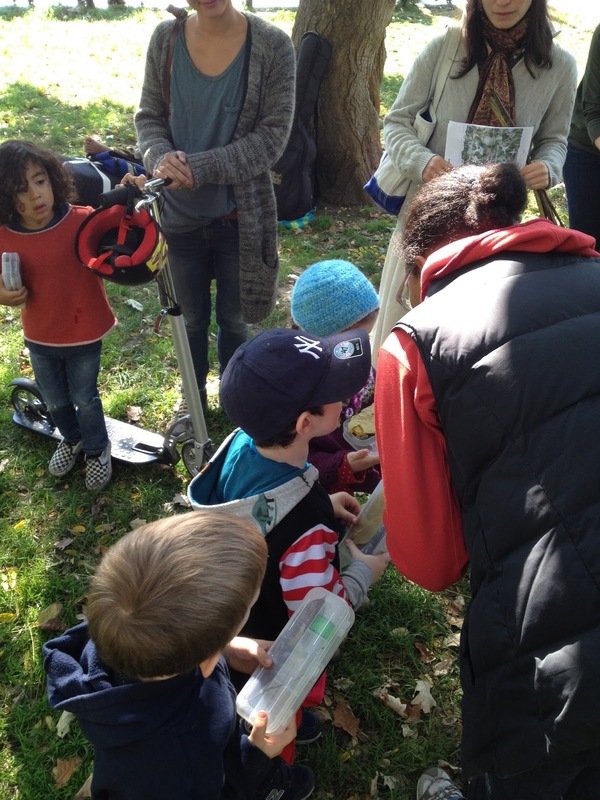 The scavenger hunt was a project of WSP Ecology in collaboration with Julie Cramer of the NYU Conservation Education program. Washington Square Park is naturally divided into four quadrants. A guide was prepared for each quadrant and we assigned families - four per - to each quadrant. 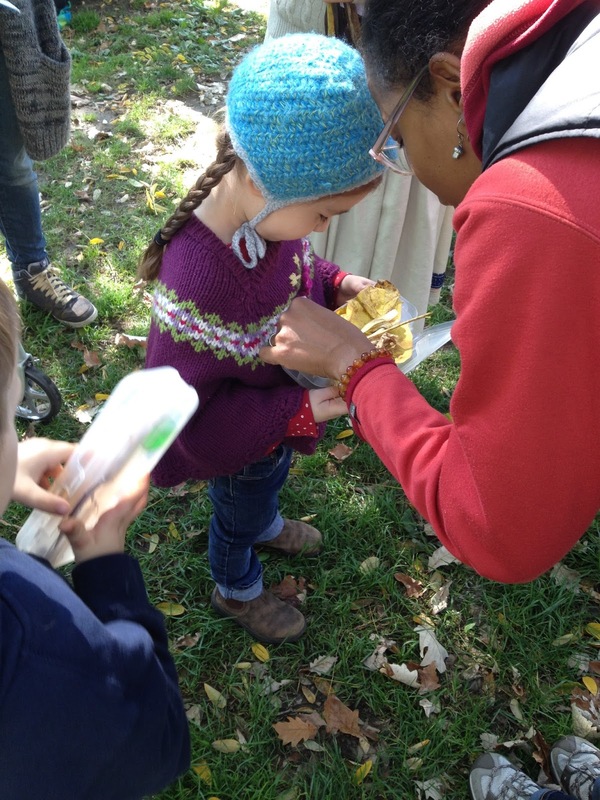 Participants collected acorns from red oaks, hugged really big trees including the historic English elm, smelled stinky fruits of the Ginkgo, looked for squirrel dreys, found muddy puddles, and more. Each child received a box with compartments for collecting as well as a small green lidded box. After 45 minutes we gathered again to review our finds. We were sent a child's drawing of her collection box, the little green box, each leaf and seed pod and acorn cap in its own compartment. The items drawn are a pine needle, hawthorn stem, gingko nut, hawthorn leaf, and acorn cap, and below the box are four catalpa seedpods. 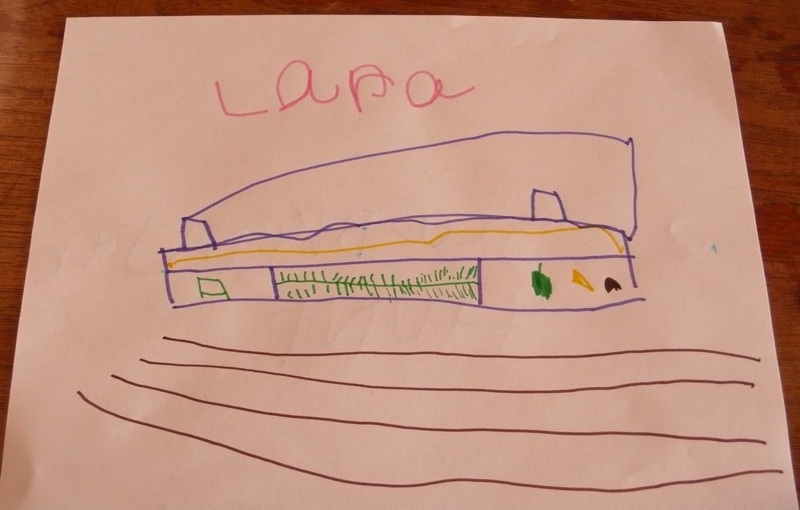 We were told that Lara "showed her finds to everybody who came to the house." Also, Lara will "take the box again when we go to any park." The next WSP Ecology event is a Fall Foliage Tree Walk led by Leslie Day, PhD on Friday, November 14, 2014 at 11 a.m. Please RSVP!